In our ever-changing industry, there's one constant: we can never stop learning. Thinking, exploring new ideas, keeping up with trends, and reading need to be a part of our daily routine. This New Year, you may want to devote more time to delving into interesting, inspiring books. But with so much content out there, it can be difficult to know where to start—and even easier to lose steam after a month or two. 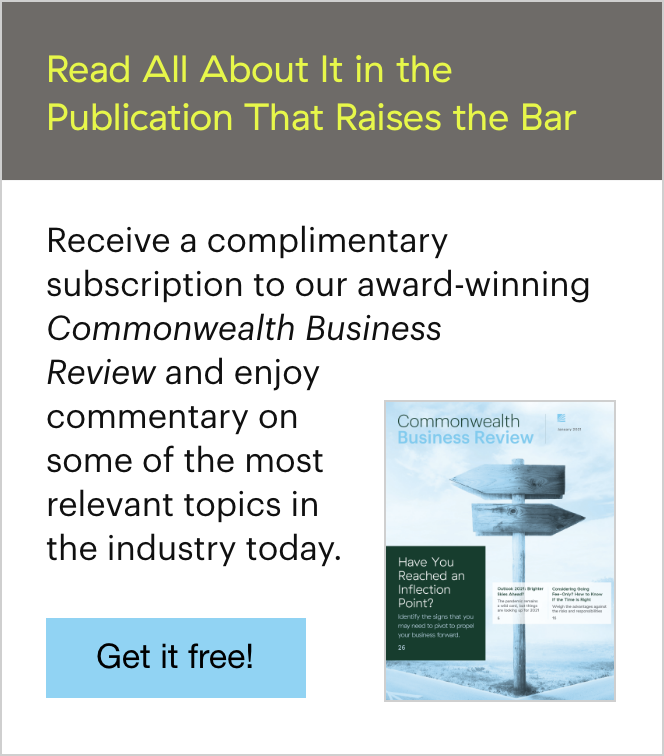 I've spoken with several of Commonwealth's leaders about their favorite books and compiled this list of recommended reading for financial advisors. This is great launching point for 2015, and I'm sure that you'll find the reading well worth your time. One of the books that you read this year may even have a significant impact on your business. We're all riding the rapidly changing Internet wave and are just now beginning to understand the enormous ramifications of recent technological progress. The Second Machine Age draws on substantive research to predict the future of the web and its impact on our personal and professional lives in very practical terms. At Commonwealth's 2014 National Conference, we were thrilled to have McAfee as a guest speaker and to learn firsthand how information technology will transform business and the global economy. After you read this book, I can promise you one thing: you'll never watch Jeopardy! the same way again! Chouinard, the founder and owner of Patagonia, shares outstanding lessons that all advisors and business owners can learn from, including how to do well by doing good and take care of your employees, as well as that being a responsible citizen and a for-profit business are not mutually exclusive. In reading this book, you'll gain insight into Patagonia's outstanding marketing, the organization's unmatched willingness to stand by its products, and its uncommon approach to a balance of life and work. Highly recommended. This was one of the first books on investing, first published in 1949. Without a doubt, it's still one of the best of its kind—a true classic and a must-read book for financial advisors. The Intelligent Investor will give you an understanding of the basics of investing from the man who literally invented the idea of securities analysis. You don't have to take my word alone: it's also recommended by Warren Buffett, no less. The idea of a "black swan"—something unpredictable and improbable that has significant consequences and shocks the system—is commonplace now. But the concept was actually introduced fairly recently with the publication of this book in 2010. Here, Taleb looks at how and why decision models fail. 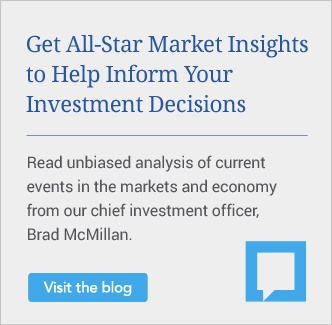 Given his background as a trader and fund manager, his insights are particularly useful for advisors. If you're looking to delve into a quantitative analysis of various strategies and their historical performance, I highly suggest reading this book. It digs deeply into the numbers that show how and why different investing and trading styles perform. What Works on Wall Street is a wonderful reference that I suspect you'll find yourself pulling off the shelf frequently. Why is it so hard to sell a plummeting stock? What's the best way to screen a prospective employee? Sway investigates these questions, drawing on extensive research from social psychology, behavioral economics, and organizational behavior. It's written in layman's terms, with many interesting anecdotes and experiments to demonstrate the forces that derail logical thinking and sabotage our decision making. It's a fun read. Pink argues that today we're all "in sales," no matter your specific job title. All financial advisors will benefit from reading his thoughts and theories about persuading others to give something in return for a service or product (i.e., the process of selling). Pink identifies skills needed to succeed in this new era of selling—the most important being the ability to see the world from another's point of view. I encourage you and your staff to analyze and apply Pink's findings. You may find yourself approaching your work very differently and seeing results. In this fun read, journalist Jason Zweig explores the different ways our brains sabotage us when it comes to our money, and some of them are sure to shock you. This is a great book for advisors looking for an introduction to behavioral finance, as well as your clients who want to learn more about their financial decision making. Make no mistake: this book is not about the magical power of positive thinking. In Positivity, Fredrickson shares her fascinating physiological and cognitive research about the impacts of positive emotions, as well as how we can apply her findings in actionable ways to improve our daily lives. This is a great primer on the science of positive psychology. I highly recommend subscribing to James Clear's blog. Although he doesn't write about financial services or even business per se, he offers remarkable insights to help boost productivity, increase focus, and transform habits to achieve goals. As an author, speaker, fitness fanatic, and photographer, his biweekly articles will inspire all business owners and entrepreneurs, including financial advisors. I often find myself pausing to read his posts, thinking deeply about his messages, and sharing them with team members. Now it's your turn! 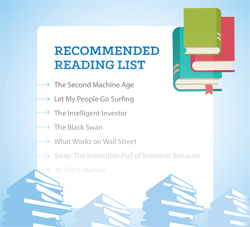 Add your thoughts and other recommended reading for financial advisors by commenting below.